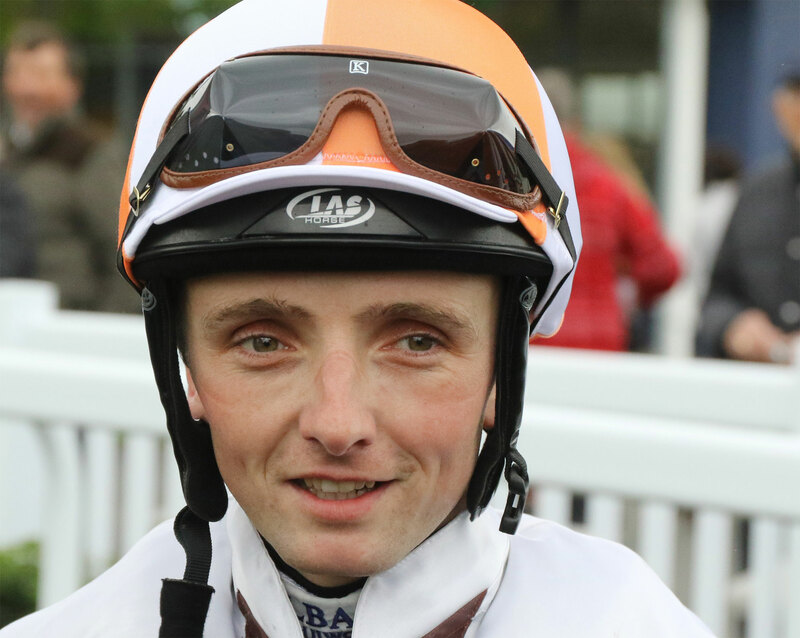 I was delighted to join forces with Naas Racecourse this season to give you a little insight into my rides and life as a jockey throughout the season. Naas is a fitting venue for the opening of the Irish Flat Season and plenty of good races in between. I can’t wait to get the Flat season up and running at Naas on Sunday and I’ll be hoping my luck at this particular meeting can continue. 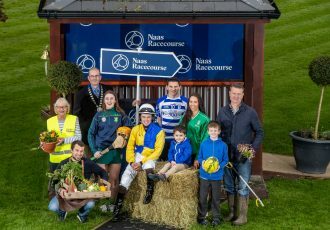 During the redevelopment of the Curragh Racecourse the start of our season has moved to Naas and I was delighted to see that Naas were able to hold on to that, especially as it has been a lucky place for me! For the last two seasons I have been able to come away from the opening day with a double and I’ve got some nice chances to get me started again this weekend. It has been a long winter, even though I had a successful stint out in Dubai and made some brilliant new contacts, it’s just nice to get going in Ireland again. UNDENIABLE FACT is my first ride of the season at Naas in the Kildare Post & Kildare Now Maiden. I haven’t actually sat on the filly myself but Richard likes her a lot. He bought her at the breeze-up sales last year and gave her time. Richard likes her a lot and is hopeful she will give a good account of herself. At this time of year it really comes down to what can handle the ground and what is fit enough so hopefully Undeniable Fact won’t be denied on Sunday! Then it is on to ENTER THE RED for Aidan Howard in the Naas Racecourse Launches The 2019 Irish Flat Season Handicap. This horse has a light weight on his back, will handle the ground and has a good draw in 13 as you are better off with a high draw on slower ground at Naas. He is getting on in years but for the last couple of seasons Aidan has campaigned him lightly and he should be there or thereabouts. The Naas Racecourse Business Club Madrid Handicap is a valuable contest and I ride BLACK MAGIC WOMAN for the first time. She is well weighted but has some decent form on quicker surfaces so she looks to have it all to do unless she can go on the ground. I think IIEX EXCELSA will outrun her rating in the Group 3 Lodge Park Stud Irish EBF Park Express Stakes. She ran well on heavy ground in Listowel last year and she ran well in Cork on similar ground. She is fit and well and we had the option of running her in the Lincoln as well but it is important that she picks up some black-type and I think she has every chance of doing that on Sunday. Fitness won’t be a problem for CIAO in the Tote Irish Lincoln and if Gavin Cromwell could find a race for the stable cat he’d probably win it too so this was a nice ride to get in a race like this. 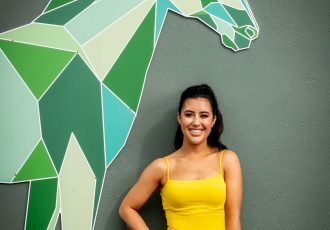 Gavin’s horses are obviously flying at the moment and although it would be a little bit of a question mark about how Ciao will go on the ground, I think Gavin is fairly hopeful that it won’t be a problem for her. I was lucky enough to win the Lincoln a few years ago for Paul Deegan. It is the first Premier Handicap of the season and you’d always be hoping to get a big win like that early doors. It’s a very prestigious race so fingers crossed we’ll be in the shake up. I was asked to join up and ride a bit of work for Dermot Weld during the season so that was a great opportunity for me and I’m thrilled to have a ride for Mr. Weld at the first meeting in the Devoy Stakes. Even though HAZEL BAY is a maiden, her form of her first run is quite decent. She handles an ease in the ground, it’s a competitive race but on a line through Hazel Bay’s first run has to give her some sort of a chance. Finally, WARGRAVE is the highest rated of the horses in the Irish Stallion Farms EBF Maiden that have run. You would always be wary of horses like Georgeville and Nor’easter who have had just one run and could be open to improvement from that. I actually rode Nor’easter for Richard O’Brien last year and thought he was a smart horse. He’s quite a nice horse and could be anything but my lad sets the standard and goes there with a favourites chance. Any day you go to the races and get one winner is a good day and hopefully we’ll be able to get the season off to a good start at Naas on Sunday.